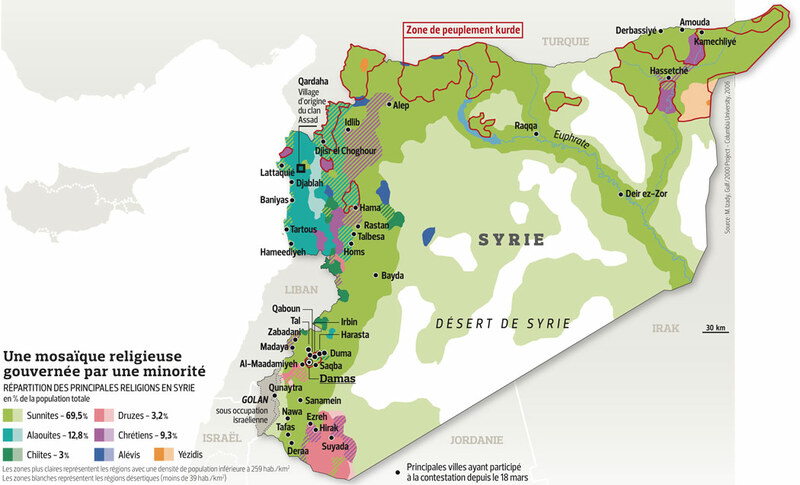 The Middle East and Iran: Where do the Alawites Live in Syria and What are the Demographics of the Country?? As I noted in a previous post, the Alawites who control the regime are a small sect that considers itself an offshoot of the Shiite branch of Islam. One question that I think many people might have is where exactly do the Alawites in Syria live, and what percentage of each demographic and religious group exists in Syria? In that context, I thought it would be quite useful to have some maps which allow the reader to visually see where the bulk of Alawites in Syria are from.